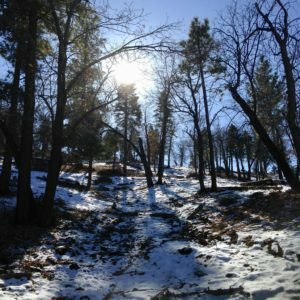 Home→Favorite Hikes→Our Thanksgiving Holiday in Big Bear! This is a sponsored post, the story is still authentic and my own. I have to admit that Thanksgiving might be my favorite holiday. I’m not sure why. It’s not about cooking or about food. There’s just something in the air when it comes to Thanksgiving. In fact, a few years ago we spent Thanksgiving in the mountains and there was definitely something in the air. It was snow! 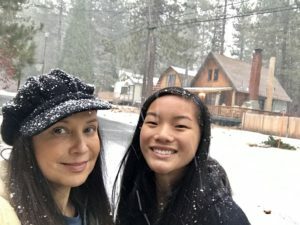 We spent our Thanksgiving Holiday in Big Bear in the snow! 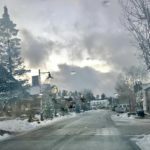 We drove up to Big Bear on Thanksgiving day on a mild and clear day. It was so nice and quiet. 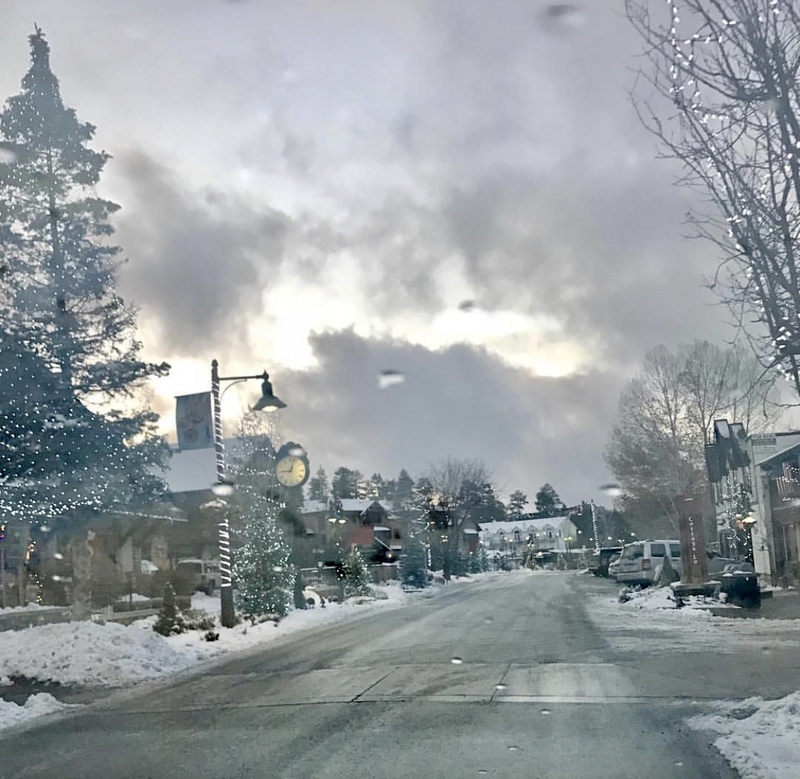 Big Bear often feels quiet when ski season isn’t quite in full swing, but that was about to change. 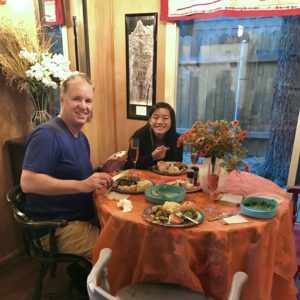 We always bring up a nice turkey dinner, which means we usually need a good kitchen with space. 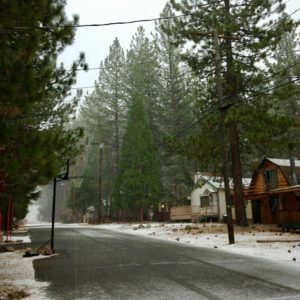 We always stay in a big cabin in Big Bear so we can spread out! After dinner, we’ll go for a nice family stroll. 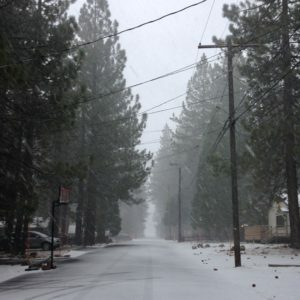 We make sure we stay in a nice neighborhood in Big Bear, but every neighborhood is nice up there! 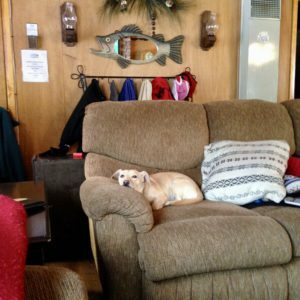 We stay in a pet friendly cabin, too. 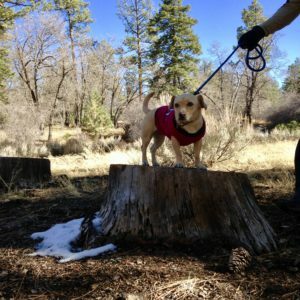 We love to bring our dog on our trips! The next day we usually go on a big hike. 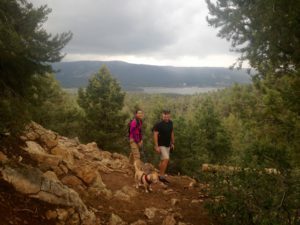 Big Bear has many hiking trails and we often walk right out of our cabin to follow a trail. In November there’s usually some snow on the ground already, which we love. What we didn’t realize on this trip was that a storm was on its way! 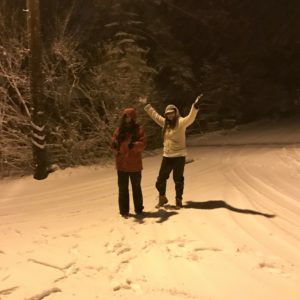 That evening we got hit with a wonderful snow storm and we were both excited and ready! We always bring our winter gear for just in case! We sure needed it on this trip, it turns out! Our last day we decided our car wasn’t prepared to go down the mountain. 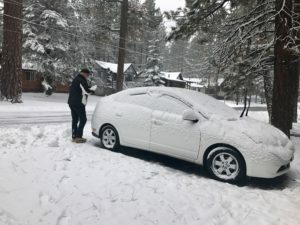 Big Bear is wonderful when it comes to clearing the roads, but we chose to stay up there until the snow subsided. 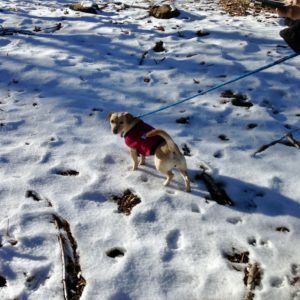 Our daughter experienced her first snow day! 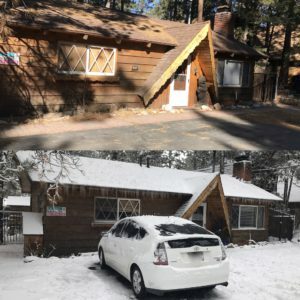 Luckily, we stayed with Big Bear Cool Cabins. We called them and asked if we could stay another night due to the snow storm. Since the cabin wasn’t booked that night, they said sure! We were very grateful! It was one of the best Thanksgivings that my family ever had. You can experience this too! In fact, Big Bear Cool Cabins has a great deal going on this Thanksgiving. I was given a code to share with you! 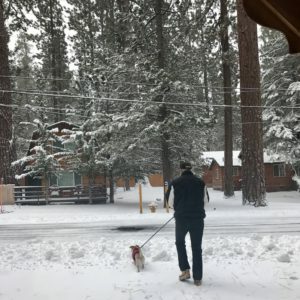 Don’t forget that Big Bear Cool Cabins has over 350 private homes and cabins to choose from, many pet-friendly. 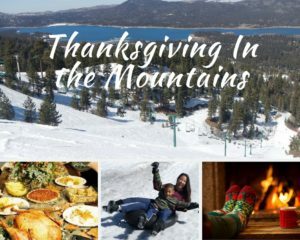 Expect some Thanksgiving fun, but be prepared for a winter wonderland and enjoy! Yes, you are correct! Thanks for reading! !